They say there is no money in poetry, but there is no poetry in money. Some things though are more important than money like one’s soul. Though there is much in the way of poetry about the positives in life, happiness, love and friendship, not everyone is fortunate to be in a position to relate to such feelings. While others have a bad day once in a while; others have a good day once in a while and that only if they are lucky. 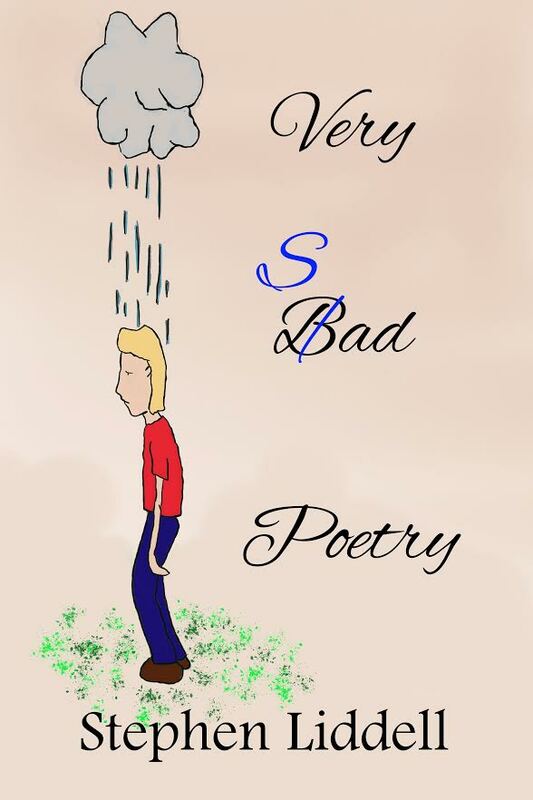 Very Sad Poetry is a book of 50 poems dedicated to those who’ve known loss, deep sadness or loneliness and contains poems that could be said relate to feelings of depression or suicide with others dealing with experiences in a more light-hearted sort of way with dashings of gallows-humour. Very Sad Poetry is available from the UK in Kindle format from Amazon here and paperback format here. American Amazon readers can find the book in Kindle format here and in paperback format here. As well as being available through Barnes & Noble, Kobo and Nook, you can also get in on the action on your favourite Apple product but purchasing the book on iBooks by clicking below!